The mitosis allows a complex organisms, such as humans, from a single cell to create. This produces two identical daughter cells, which then in turn share from a mother cell. This is a tremendous growth of the cells. Afterwards can cells making up group and form tissue or organs. As a result of mitosis grow also in the high age still hair or nails, such as fingernails. Mitosis is the form of the core and cell division in the result of two genetically identical daughter cells emerge from a mother cell. Mitotic nuclear and cell divisions take place into the body cells. The genetic information be distributed evenly from one cell generation to the next generation of cell. Mitosis occurs in the Division of body cells. The process of the formation of two daughter cells from a mother cell is called cell cycle. 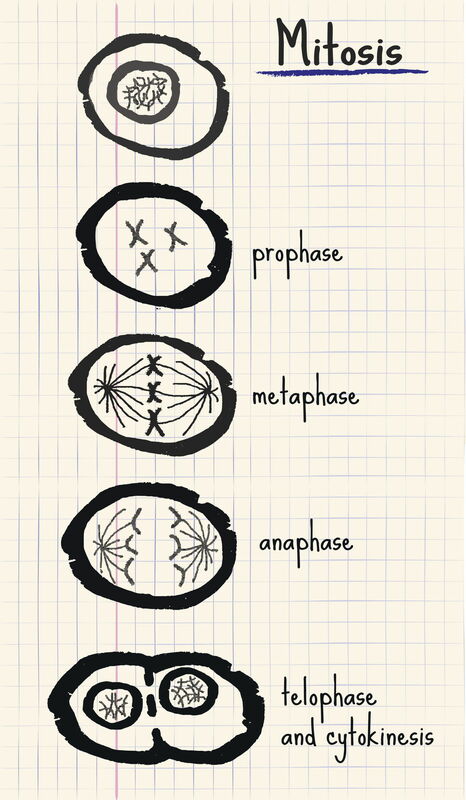 This is divided in the interphase and the Division phase, the actual mitosis. In the interphase, the chromosomes are available entspiralised. The doubling of the DNA (DNA) takes place in it. The entire cycle takes about 24 hours such as in mammals. What are the thermochemical equations?